Initiation of celiac disease is triggered in the gastrointestinal tract by transglutaminase 2 (TG2) assisted deamidation of gluten peptides. Deamidation is a side-reaction to transamidation and occurs if primary amines are absent. In contrast to deamidation, transamidation does not trigger an immune response. The aim of the study was to identify a suitable food additive that interacts with TG2 binding motives in gluten-derived peptides to prevent deamidation/transamidation. Homology modelling of α2-gliadin and computational screening of compounds for their binding affinity to a common TG2 binding motive (P)QLP were done by using computational approaches followed by experimental testing of TG2 activity. A database containing 1174 potential food grade ligands was screened against the model of α2-gliadin (27 out of 33 aa). Out of the five best ligands, ascorbyl palmitate, was observed to decrease TG2 transamidation of gliadin by 82% ± 2%. To completely silence the transamidation, we added zinc chloride (ZnCl2), and thereby reached a 99% ± 1% inhibition of TG2 activity. In addition, we conducted a pilot experiment in which ascorbyl palmitate was observed to decrease TG2 deamidation of gliadin completely. We propose ascorbyl palmitate in combination with ZnCl2 with the future perspective to become an additive in celiac-safe foods. ADVERTENCIA - La consulta de este documento queda condicionada a la aceptación de las siguientes condiciones de uso: Este documento es únicamente para usos privados enmarcados en actividades de investigación y docencia. No se autoriza su reproducción con fines de lucro.Esta reserva de derechos afecta tanto los datos del documento como a sus contenidos. En la utilización o cita de partes debe indicarse el nombre de la persona autora. 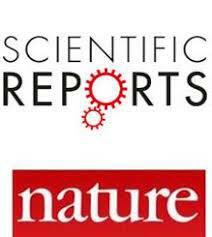 Engstrom, N., “Towards Celiac-safe foods: Decreasing the affinity of transglutaminase 2 for gliadin by addition of ascorbyl palmitate and ZnCl2 as detoxifiers,” RIQUIM - Repositorio Institucional de la Facultad de Química - UdelaR, accessed April 20, 2019, http://riquim.fq.edu.uy/items/show/4924.